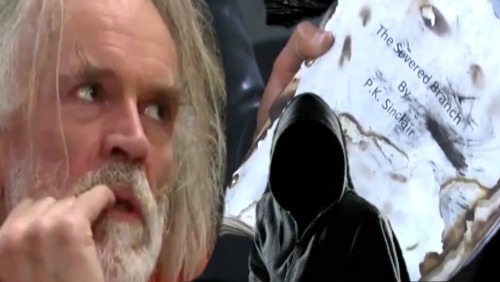 General Hospital (GH) spoilers tease that Faison (Anders Hove) is facing a serious threat. Nathan’s (Ryan Paevey) been digging for info on his biological father, who happens to be Faison. However, Dr. Obrecht (Kathleen Gati) is concerned about Nathan’s safety. She doesn’t know what Faison might do once he’s in the loop. In this scenario, Nathan’s the one who’s at risk. Of course, on Thursday’s GH episode, January 4, Spinelli (Bradford Anderson) just uncovered clues from the manuscript that point to trouble for Faison. Nathan could certainly make waves soon enough, but The Severed Branch suggests that the son has already caused problems. Does that mean Faison already has another son who’s turned against him? Let’s consider GH’s evidence. In the story, the character of Isaac was a stand-in for Faison. Isaac has a rival named Octavian, who refers to Isaac as his father. When Isaac realizes the threat against him as been Octavian all along, Octavian notes that Isaac should’ve opened his eyes sooner. He contends that his father could’ve saved himself. Faison was furious after he found out the traitor had betrayed him again. He was on a mission to take him or her down. In other words, Faison thought he knew who to blame. Later, the manuscript left Faison rattled and he threw it in the fire. It appears he read what Spinelli recapped and decided his son had been out to destroy him. Faison might’ve disowned a son or been unaware of a son besides Nathan. Perhaps he couldn’t get him to follow orders. That could’ve led to a grudge and this mission to crumble Faison’s empire. When Faison read the manuscript, he may have determined that his son teamed up with the traitor to wreak havoc. Now that we’ve established this second son’s existence, who might it be? To figure that out, we have to go back to the manuscript. Isaac’s adversary was newcomer Octavian, also the writer of the manuscript. 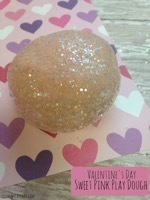 He shares his name with a Roman emperor Octavian who changed his name to Augustus. Does that sound like anybody in Port Charles to you? It sure sounds like Peter AUGUST to us! 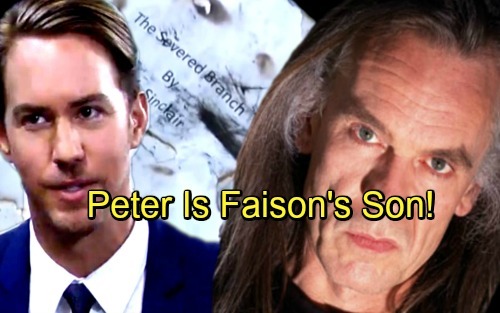 Peter has a strange obsession with Faison and he would have publishing connections. It seems likely that he wrote and sent the manuscript and has a secret plan in motion. Nathan’s storyline may have been an attempt to distract General Hospital fans. Whether Peter is Faison’s biological son or his adopted one, there’s undoubtedly a familial connection. General Hospital spoilers say some great drama’s coming up, so stay tuned. We’ll give you updates as other GH news emerges. Stick with the ABC soap and don’t forget to check CDL often for the latest General Hospital spoilers, updates and news.